This is the second installment in an ongoing Q&A series with Arts and Letters graduate students. Read more Q&As with graduate students and faculty members here. 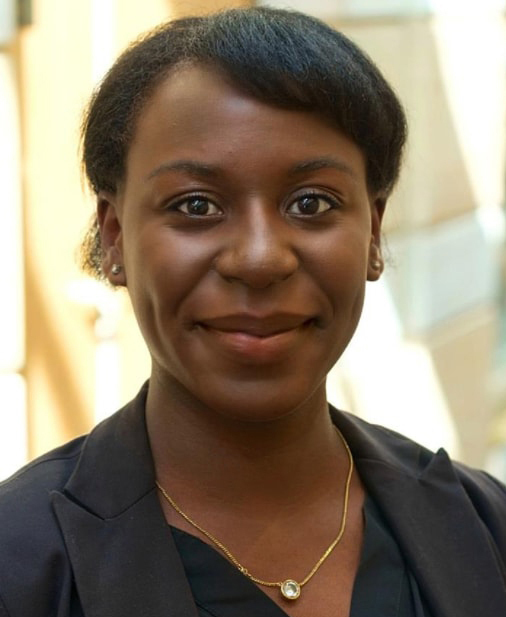 Maryann Kwakwa, a Ph.D. candidate in the Department of Political Science, received a bachelor’s degree in law and society from Oberlin College in 2014. She specializes in American politics. My research focuses on how undergraduate college experiences impact levels of civic engagement. As the cost of college continues to rise, many are beginning to question whether going to college is worth the trouble. In my research, I show that an undergraduate education is valuable because those who spend time in a college environment are more likely to become active members of their community than those who never went to college. I argue that exposure to a college environment is what matters when it comes to civic engagement because, through abstract learning and social networks, higher education encourages participation in civic activities. I witnessed many of my friends struggle in their undergraduate education. Some graduated and some did not. And many who did were frustrated with the job market. I began to question the value of an undergraduate education. Ultimately, I was drawn to this area of research because, for many people, higher education is risk. I wanted to know whether that risk is worth taking. There is an ongoing debate about whether there is intrinsic value to higher education. The results of my research suggest that there is. While graduation is the goal, even those who do not complete college find that the experience changed their lives for the better in many respects. Not only does it put people in touch with others whose ideas and values are different from their own, but it also bolsters civic engagement within American communities. I hope to convince people that these outcomes are worth the investment in higher education. One of Notre Dame’s core values is teamwork. Civic engagement is all about committing oneself to overall team objectives rather than one’s own interests. I chose Notre Dame because it is distinctive in its encouragement of civic-minded behavior. I wanted to study at an institution that is as committed to community engagement as I am. Originally published by Carrie Gates at al.nd.edu on January 22, 2018.